Do you get itchy by the thought of how many months are still remaining until season six starts? Did you mark in your calendar potential dates when ‚Winds of Winter‘ may come out ahead of the series, so that you stay updated about Westeros? Are you scandalized by the news that HBO is considering pushing back the premiere of GoT back in favor of another series? Then I can offer you a very pleasant way of comforting you through GoT-withdrawel period: ‘The Inn at the Crossroads’. The first official GoT food blog is just the most comprehensive list of Westerosi cuisine – with some information about Esso‘s cooking as well. Links for ebooks with Westerosi recipes (some of which include forwords by George RR Martin himself – yay!) are available. And, yeah, the name of the blog DOES sound familiar: it is an actual location from the song of ice and fire. So, read the recipe? Gathered all necessary ingredients and kitchen utilities? Then, only one thing is missing: the correct attitude while dinning. 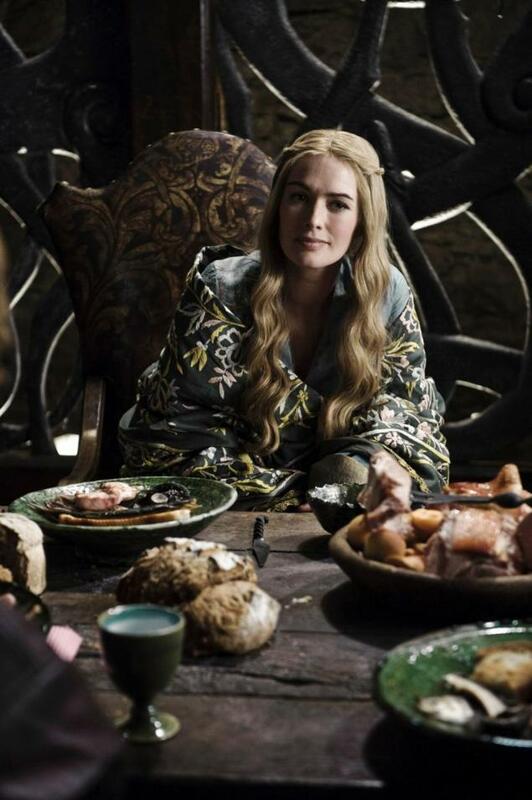 To practice a bit your manners and eloquence, watch this video in which Lena Headey (Cersei) demonstrates the art of drinking out of a goblet with style!